As I had previously written, prior to Sunday’s debacle versus the hated Dodgers, GG had a 1-11 in record watching the Giants in person this season. The odds of that occurring (depending on the winning percentage of the opposing teams which he saw) were roughly between 1/1000 and 2.5/1000. In other words they were about the same odds that a certain recent judicial nominee was telling the truth when he defined the terms used in his high school yearbook. Then I realized that though GG was not actually in attendance, he was within the same area code, which may have been just enough to put his hex on the team. After all, when you think about it, in every single one of the lost games in which GG was present, he was not only in the stadium, but in the same area code. Eureka! That is the only possible explanation. 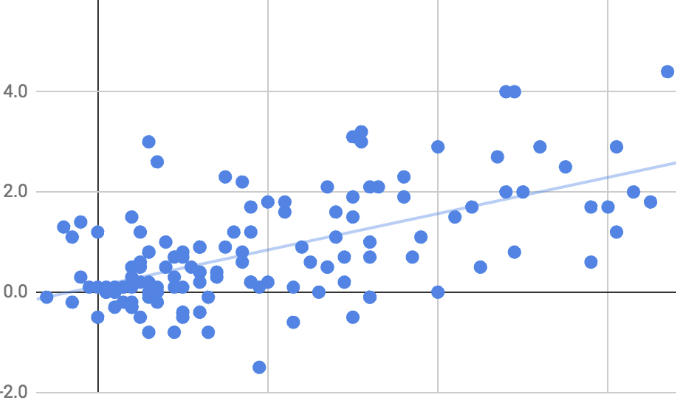 Using advanced metrics, George’s 2018 FLBRV (Fan Losses Below Replacement Value), a statistical measure created by Surf Maui to evaluate the impact of a fan’s impact on the game, is computed to be -10. In simple terms, this means that the if the average fan were in attendance instead of GG at the ballpark, the “replacement fan” would have had as many wins as losses, while George’s record was ten below average and going down with every game he attended. That is several standard deviations below the FML (Fan Mendoza Line), with a P value of well over .95. It is arguable therefore, that GG’s presence even the vicinity of the ballpark was the factor that prevented at least a .500 season, and may have cost Bobby Evans his job. As Opening Day 2019 approaches in a mere 173 days from now, the Giants front office has a great deal to think about: A new GM, bolstering the offense, and trades. But among the considerations to improve the team would be to keep GG glued to his TV instead of allowing him to attend games–especially versus the Dodgers.